With an already fervent fan base and solid cast, DIVERGENT looks to be another solid smash for Summit Entertainment when it hits screens in March. As with TWILIGHT and THE HUNGER GAMES, DIVERGENT is adapted from a Young Adult book series from author Veronica Roth, where a future society is divided into classes, or “factions,” based on a test you take on your sixteenth birthday. When you don’t fall neatly into one of those classes, as Beatrice Prior (Shailene Woodley, who was phenomenal in THE DESCENDANTS and THE SPECTACULAR NOW) finds out, the establishment (personified by Kate Winslet) freaks out. The highly-anticipated final trailer is out – see for yourself and tell us in the comments below if this one is on your radar. Some are already drawing a lot of comparisons the Stephenie Meyer’s THE HOST movie adaptation, which was released early last year and did not do well. But this is a Neil Burger joint, which gives us more hope for unsuspected greatness. In addition to Woodley, DIVERGENT stars Miles Teller, Kate Winslet, Ansel Elgort, Theo James, Jai Courtney, Zoë Kravitz, Ray Stevenson, Maggie Q, Ashley Judd, Tony Goldwyn, Christian Madsen, Mekhi Phifer, Ben Lloyd-Hughes, and Casimere Jollette. In a future world where people are divided into distinct factions based on their personalities, Tris Prior is warned she is Divergent and will never fit into any one group. When she discovers a conspiracy to destroy all Divergents, she must find out what makes being Divergent so dangerous before it’s too late. 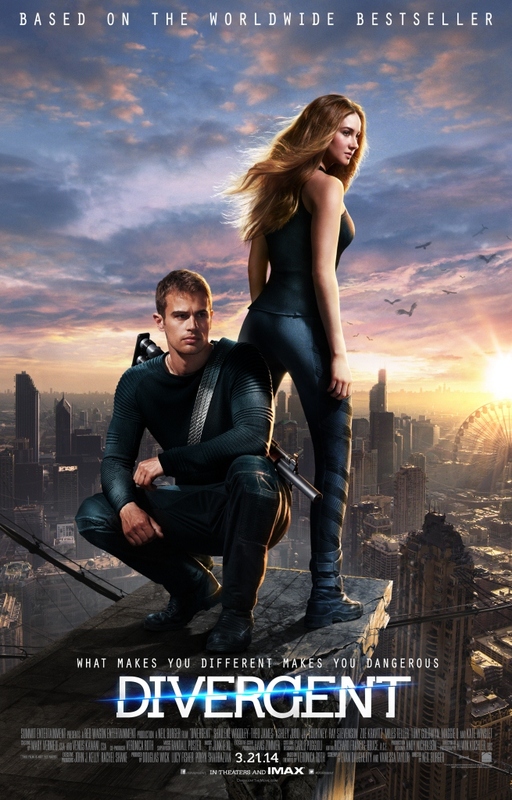 Directed by Neil Burger, DIVERGENT hits in wide release on March 21, 2014.